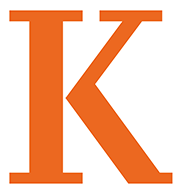 Kalamazoo College aspires to be among the very best colleges in the US for providing an inclusive STEM education in which all students have engaging educational experiences, ample opportunities to develop necessary skills and knowledge, and intentionally designed support structures that will allow them to excel in science. From our overall culture, to our physical spaces, to the content of our courses and pedagogical approaches we will be open,welcoming, and attentive to students from a wide variety of educational,racial/ethnic, socioeconomic and gender backgrounds. Inclusive Excellence at Kalamazoo starts with compassionate, culturally competent faculty who are aware of their implicit biases rooted in systemic oppression and racism, and who actively engage in inner work to mitigate these biases.